Mercadero offers organic Royal Quinoa from Bolivia. 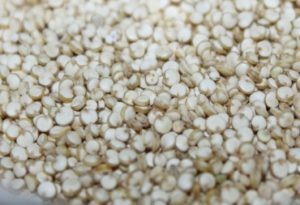 Royal quinoa is a premium quality seed, which is highly nutritious with a nutty flavour. It is recognizable by its larger grains and it has a fluffier texture after cooking. Royal Quinoa is produced by small producers in the southern altiplano of Bolivia. It is the native variety in this area, where quinoa has been a staple in the diets of ancient Inca and Andean cultures. Our supplier is a social responsible company. 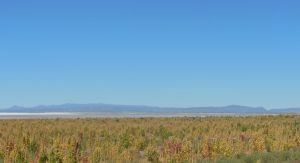 The Royal Quinoa is produced by small scale producers who receive technical support for organic farming as well as farm inputs, and a fair price for their quinoa. Some communities also received support to build roads for accessing high altitude production areas.